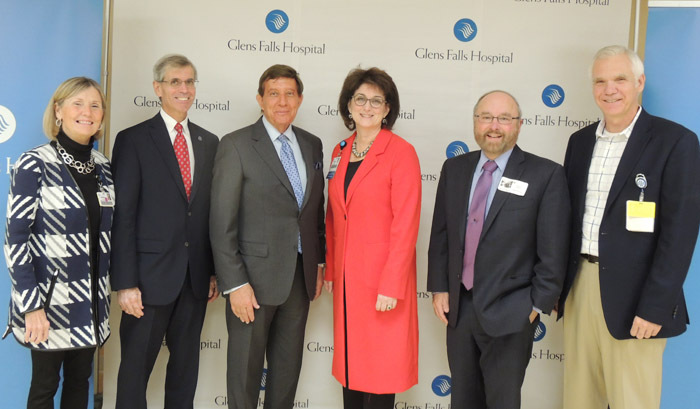 Why did Glens Falls Hospital choose to affiliate with Albany Medical Center, as announced at a Oct. 17th press conference? “Glens Falls Hospital has a long and proud history of independence, and up to a year ago, the thinking was to remain independent, but the national changes in health care are causing us all to rethink things,” Glens Falls Hospital president and CEO Dianne Shugrue told The Chronicle. “With less financial resources, we are rethinking how we provide care. And the obligation of this hospital and this board is to fulfill our mission to provide access to quality, patient-centered health care to our community. That’s what we are doing…. 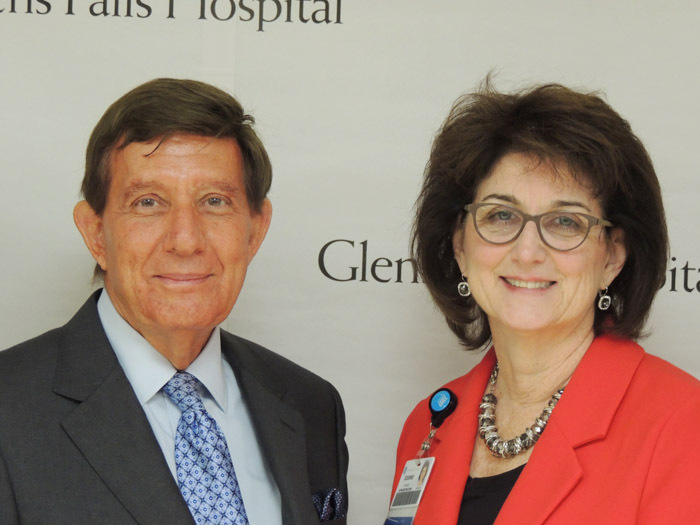 “This ensures the long-term viability of Glens Falls Hospital. “Albany Med has long been recognized as the region’s premier health care deliverer, and we are thrilled to be the third community hospital to join their network,” which also includes Saratoga Hospital and Columbia Memorial Hospital in Hudson. Albany Med president and CEO James Barba said at the press conference, “What a privilege to have you vote confidence in the partnership. Albany Med’s network now will total 1,507 beds and nearly 2.5-million annual outpatient visits, said press information. The governing boards, medical staffs, employees and fund-raising arms of the hospital will remain separate. Glens Falls Hospital officials say the affiliation won’t impact employment levels here. The hospital, the region’s largest employer, has some 2,700 employees. She said they’d talked to Albany Medical Center previously, “and this time we talked to numerous potential partners. We’re attractive. People want to work with us. Dr. Sean Bain, the South Glens Falls native who is president of Glens Falls Hospital’s medical staff, said, “This affiliation makes the beginning of a new chapter in Glens Falls Hospital’s story. It allows us to maintain the structure of local governance while assuring quality care. Officials said it also save money in purchasing. “By buying our supplies in large quantities, we have achieved significant savings over the last five years,” Dr. Steven Frisch, Executive Vice President and General Director of Hospital Systems at Albany Med, told the press conference. Albany Med CEO Mr. Barba said the savings were in the “eight figures” range, meaning at least $10-million. Ms. Shugrue said, “When this process is finished, I want to shout it from the rooftops. We want everyone to know we are affiliated with Albany Medical Center.